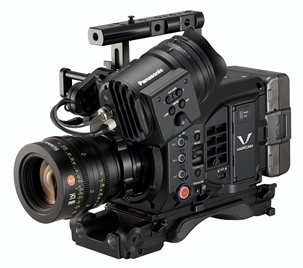 The low-light optimised Panasonic Cinema Varicam LT has a native ISO of 800 and 5000 allowing you to shoot in various lighting circumstances without adding in gain and noise. This camera can record 60p 4K in V-Log to the expressP2 card and record in HD with a LUT over to SD cards for use of proxy. 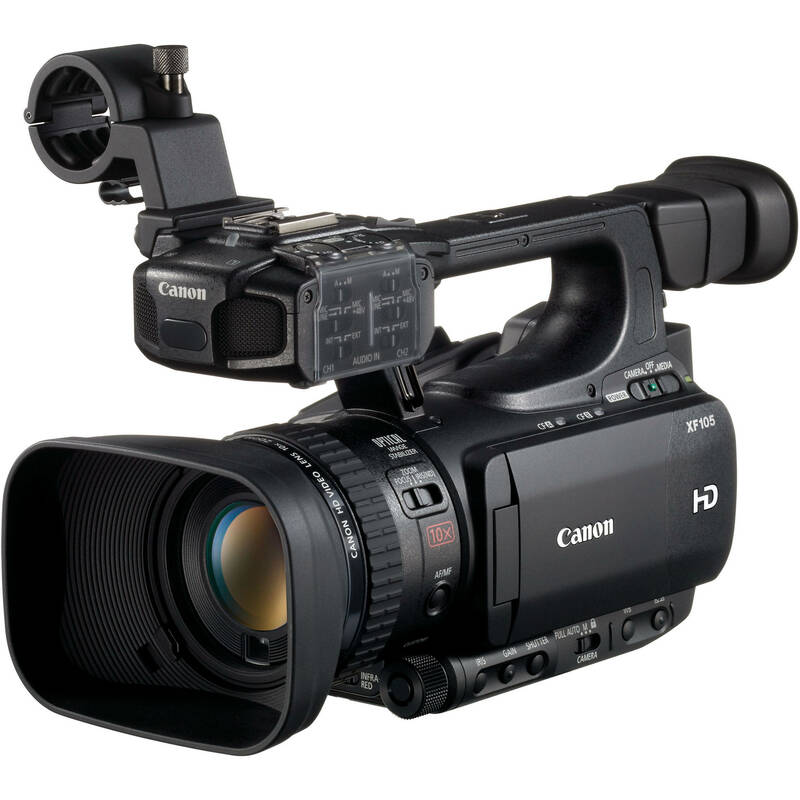 It is capable of capturing 14 stops of dynamic range and 60fps in 4k and 240fps in 2K. You can record your footage to high-data-rate files using the camera’s built-in expressP2 card slot while simultaneously recoding proxy files to the camera’s SD card slot. The proxy files can incorporate colour grading changes that the high-resolution files do not, making it easy for post to see your intent, without baking the look into your high-quality, camera-original files. The camera features selectable gamma curves, allowing you to get the most out of the sensor. It supports recording using AVC-Intra, AVC-Intra 4K, and Apple ProRes codecs. The 3.5″ control panel can function as an LCD screen or be used to control the camera’s functions. The VariCam LT ships with a removable stainless steel EF mount, which you can swap out for a PL mount if you choose. Please note that the PL mount is not included and must be sourced separately. The VariCam LT is equipped with the Super 35mm, single-chip MOS that offers 4K (4096 x 2160) and UHD (3840 x 2160) resolution. 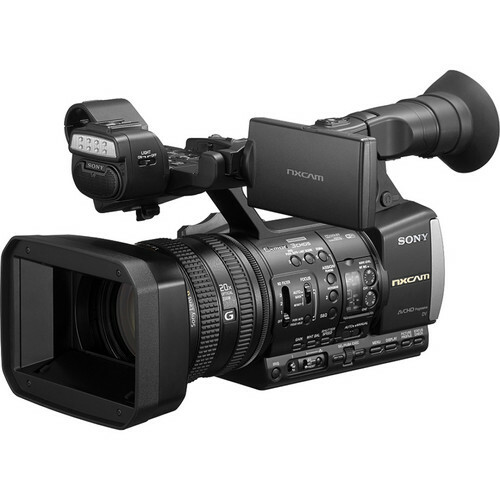 It boasts high sensitivity, low noise, and wide dynamic range. The sensor’s size delivers the classic cinematic depth of field as it is the same size as the film frame in motion picture cameras. The camera features a dynamic range of 14+ stops when shooting in Panasonic’s BV-Log, which enables accurate image rendering over the entire image, from dark areas to highlights. Even in very dimly lit scenes, the VariCam LT provides low-noise images without any compromise in picture quality. 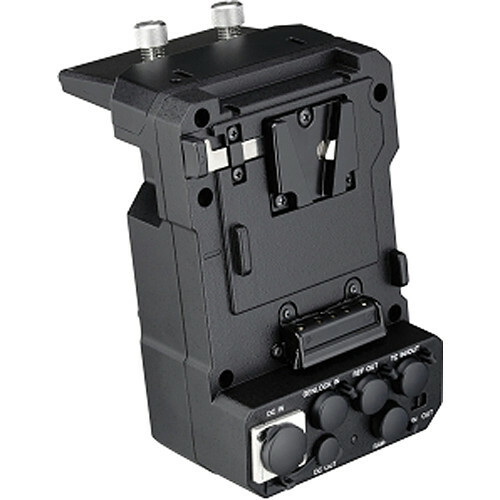 The sensor of the VariCam LT has two dedicated analog circuits that are implemented on every pixel. This allows the sensor to have two native ISO settings: 800 and 5000. The noise level at 5000 ISO is nearly identical to that seen at 800 ISO. Normally noise is introduced in the gain process of rating ISO in digital cameras; however, the native 5000 ISO rating sidesteps the issue of adding gain to capture low light images. The VariCam LT is equipped with V-Gamut, which encompasses the entire BT.2020 colour space. The VariCam-LOOK (V-LOOK) mode is a setting for creating cinematic images without colour grading. Featuring a gamma curve that allows detail to be maintained over a greater tonal range within the Rec 709 colour space that has also been included in the VariCam LT. The V-709 gamma setting provides a tone suitable for viewing on standard monitors while the BC-LOOK creates a look that mimics traditional TV broadcast images. The VariCam LT provides down conversion to Full HD via two 3G HDSDI outputs and one VF output (BNC) while shooting in 4K.Your look with in-camera colour grading and information overlay can be applied to each output. The maximum frame rate when recording in 4K (4096 x 2160) or UHD (3840×2160) resolution is 60p (60 fps). When shooting in 2K (2048 x 1080) and HD (1920×1080) resolution, high-speed 240 fps recording can be used to produce an extreme slow-motion effect. Variable frame rates are available from 1 to 120 fps in AVC-Intra 2K422 and from 120 to 240 fps in AVC-Intra 2K-LT. The frame rate is variable in-shot while recording. Using the AVC-Intra 4K codec, the VariCam LT can record 4K (4096 x 2160) or UHD (3840 x 2160) resolution. For 2K recording, the VariCam LT supports AVC-Intra 2K444/2K422/2K-LT. For HD recording, the VariCam LT supports AVC-Intra 444/422/100/LT and Apple ProRes 4444/HQ. Using the 256 GB expressP2 card, the camera can record approximately 90 minutes of 23.98p 4K video with AVC-Intra 4K422. The camera can simultaneously record proxy-quality footage to an SD card. The VariCam LT features an in-camera colour grading function (3D LUT/CDL). This enables colour tuning on set as well as in the field when using the camera control panel or 3rd party software. Grading information such as 3D LUT files and CDL files can be recorded simultaneously with the image data, providing a simple way of protecting your vision from overly aggressive editorial tweaking. The VariCam LT can record files to an SD memory card while simultaneously recording high-data-rate files to an optional expressP2 card.This feature lets you record an ungraded 4K master with V-Log in the main expressP2 card recorder while simultaneously recording graded HD files on the SD memory card. The VariCam LT features a removable IR filter. This allows you the freedom to record footage with or without the IR cut filter in any lighting situation. The lens mount is made of stainless steel and designed to prevent flange back deviation due to temperature changes. The camera body is made of strong, rigid magnesium.